A former city of Hidalgo employee was arrested Monday on allegations he engaged in bribery and abused his role as a city employee. 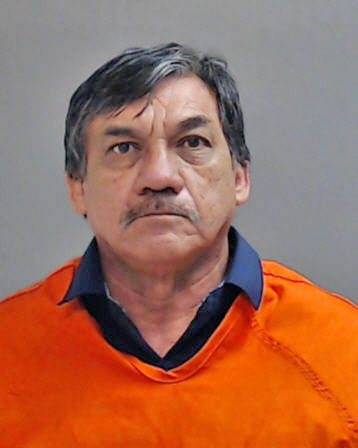 Francisco Martinez, 60, was arrested July 16 on bribery and abuse of official capacity charges, a second-degree felony and state jail felony, respectively; the most serious charge carries up to 20 years in prison if convicted. He is still listed on the city of Hidalgo’s website as a building inspector with its code enforcement department, although City Manager Julian Gonzalez said Martinez is no longer employed with the city. Martinez — who was in his city uniform at the time and driving a city vehicle — allegedly told the owners of Anabel Ropa Usada, a used clothing store in Hidalgo, on May 7 that if they were to pay him $9,000 he would allow them to move into a building lacking a sprinkler system, according to the probable cause affidavit tied to his arrest. Martinez remained in custody at the Hidalgo County jail as of press time Tuesday on a $150,000 bond, which was set by Hidalgo Municipal Judge Ivan Perez. Gonzalez said he did not recall Martinez’s last date of employment, directing The Monitor to Human Resources Director Luz Galindo, who in turn said that information would require a public information request.